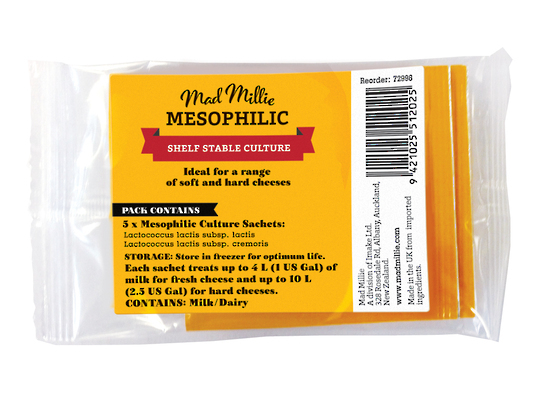 Mesophilic (MW3) is a freeze dried culture, which contain special strains of Lactococcus lactis subsp. cremoris and Lactococcus lactis subsp. 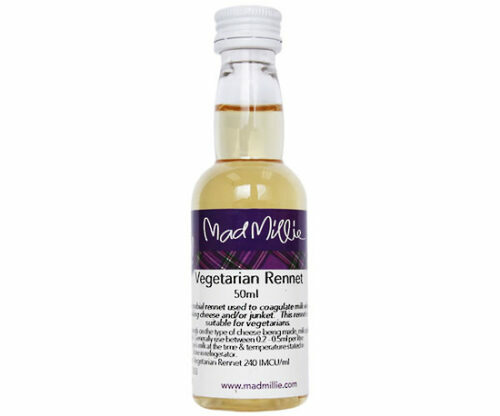 lactis. 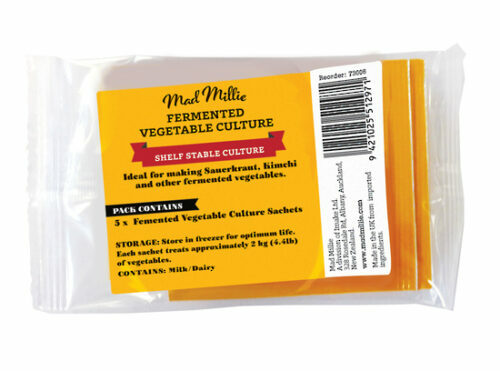 Each sachet contains enough culture for 4 L of milk. Activity = 2.4 U. 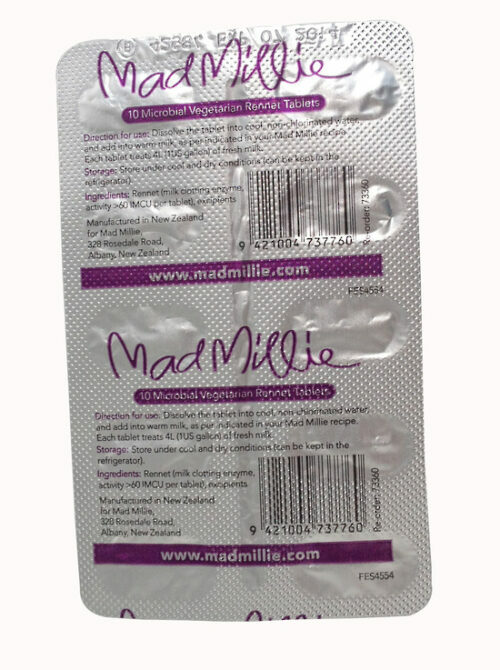 NOTE: All Mad Millie cultures contain a small amount of dairy.